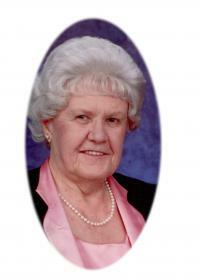 Bea Ford, 95 years of age, passed away after a short illness at the Sturgeon Hospital in St. Albert, Alberta. Bernice began her education at a rural one room school near Orkney, Saskatchewan and had room and board with a family in Climax, Saskatchewan for her grade twelve year. Following high school, she enrolled in Nursing at the Holy Cross Hospital in Calgary, Alberta and graduated as class president in 1946. Bernice was predeceased by her loving husband, Vernon in 2008 who she was married to for 62 years. Her mother, Bertha passed away in 1938 when she was 16, her father Hartford in 1980, her brother Hugh 1994, and sister Betty 2012. She leaves behind her four children, Merri-Ann, Garry (Terry), Elaine (William), Linda (Grant) and four grandchildren, Michael, Adam, Trevor and Erin. Bea was a caring and loving wife, mother and grandmother. Home, family and friends meant a great deal to her. Over the years she spent many hours sewing, cooking, knitting, dancing with Vern and loving and guiding her children. Her grandchildren meant a great deal to her and she loved each one. At Bea`s request, a private Memorial Service will be held for immediate family.